English language test for foreign teachers could be waived - An opportunity for you? Will the IELTS test be waived for overseas teachers wanting to work in NZ? A review of language requirements for foreign teachers is being considered. It has been argued the the mandatory English proficiency test (IELTS) constitutes a barrier to qualified overseas teachers to come work in New Zealand and is not a good indicator of their English proficiency. There are many cases of fluent speakers failing at a test that has been described at incredibly difficult, or even native speakers being asked to sit the test. Teaching jobs to feature on skills shortage lists? Immigration New Zealand is also considering putting teaching occupations on an Essential Skills in Demand list to facilitate their coming to New Zealand, and several industry bodies are discussing alternatives to the IELTS to loosen up requirements. 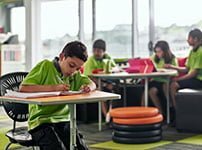 There are extremely good job prospects for teaching, particularly in the Early Childhood sector, which is struggling to fill roles throughout New Zealand. Changes, if implemented, are expected to take place early 2019.